Join us at the RAF Kenley tribute pen restored to its former glory with its brand new spine wall complete with replica Hurricane. 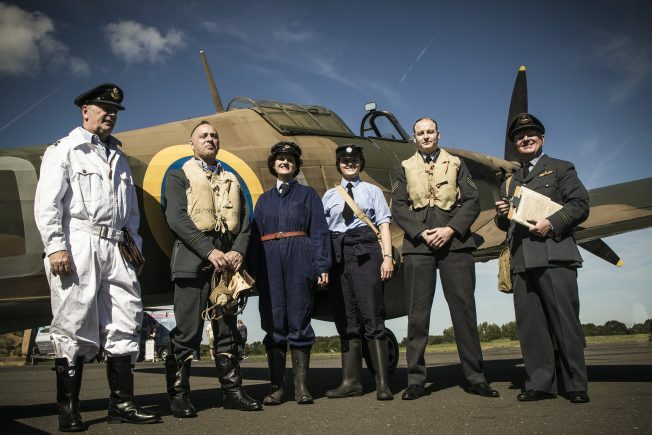 See Pilot and Ops Room re-enactors invoke the spirit of the war and learn more about the unique role of Kenley during the Battle of Britain with our themed craft activities or take a guided tour. Hop on over from Flight Path/Vintage Living or walk the perimeter track to find us. Hear more about this fascinating project and how you can help us to preserve and protect the most intact fighter airfield from World War II. Meet the project team who’ll be on hand to answer your questions, show you the progress to date and even let you handle some artifacts! As one of the project’s partners, the Kenley Airfield Friends’ Group represent the population local to Kenley Airfield and of those having historic and/or sentimental ties to the airfield and its surroundings. Their prime aims are to safeguard and promote the airfield and its heritage. Come along to their stand to hear about their crucial role in the project and how you can sign up as a member – benefits include regular newsletters and trips to aviation-related places of interest. Fancy a guided tour of the airfield? You can also come along to the stand to join the numerous guided tours which will be running throughout the day to hear more about the fascinating 100 year history of RAF Kenley. 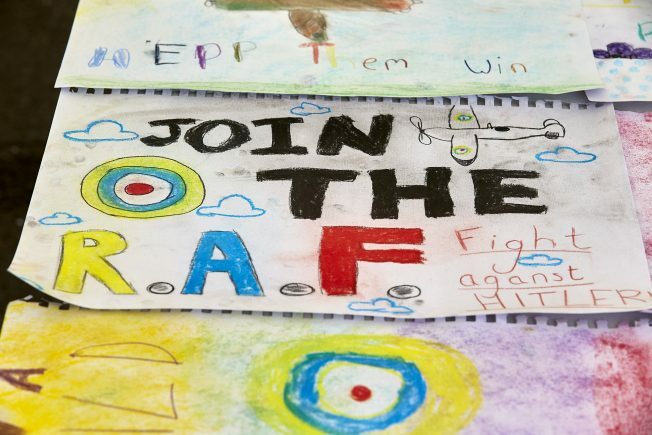 Join in with our free children’s activities in our WWII activity tent. All activities are delivered by our trained education volunteers and there is something for everyone. You can make your own gas mask box and try on WW2 uniform to see what you would look like as a WAAF or RAF pilot. Have your photograph taken in our photo opportunity board to see if you could be the face of #kenleyrevival and learn about the role of posters and propaganda in WW2 and have a go at making your own. Plenty of original and replica WW2 equipment and ephemera will be available to try on and handle so come along – adults can join in the fun too! The members of Deco in Style have come together to recreate some of the ambience of this flamboyant and colourful period of our history. Their varied re-enactment scenarios, many of which contain original clothing and artifacts endeavour to evoke memories of a time from the Great War period through the roaring 20s and on to the austere time of WW2, including the Battle of Britain, rationing, blackouts and D-Day. 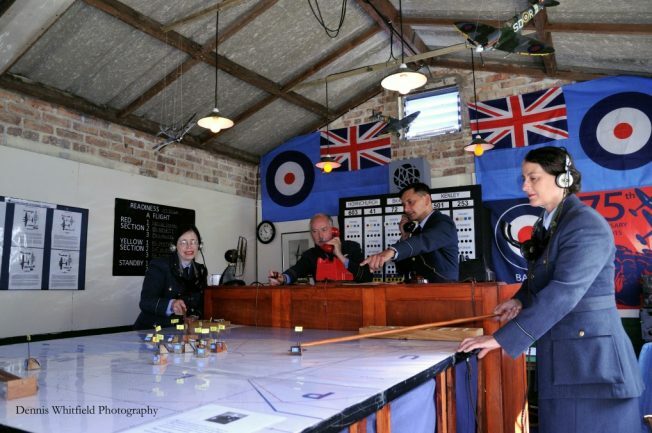 They’ll be providing periodic re-enactments of the Hardest Day using their mobile interactive display which represents an RAF station operations room in 1940 showing how the plotting table would have been operated during the Battle Britain and beyond. RAF at War are a WW2 living history group, that educate the public on what it was like to be in the Royal Air Force, both Fighter and Bomber Command, during World War 2. This is communicated to the public through either living history scenarios/tableau: such as a Battle of Britain Fighter Command Dispersal with appropriate vehicles, uniforms and equipment, briefings to the public: briefing them as if they are a bomber crew about to go on a Ops, or general educational talks. 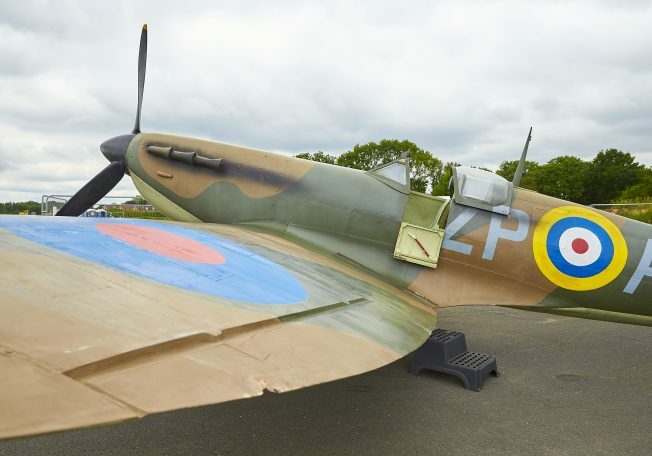 Want to sit in the cockpit of a replica Hurricane and have your photo taken? For a suggested donation join us for this breathtaking experience and learn more about the brave young men who took these machines into the sky. You can handle original World War 2 equipment the pilots who have used and learn about the aviation technology of the time with this family filled activity courtesy of the The Historical Display Team. Fancy a bit to eat and drink? David D'Arcy Greig's Lucky Escape. Free KS2 nature teaching resources! Want to help with the event?